As everyone knows, in Fashion we are always looking to the future. New trends, new seasons and new styles. 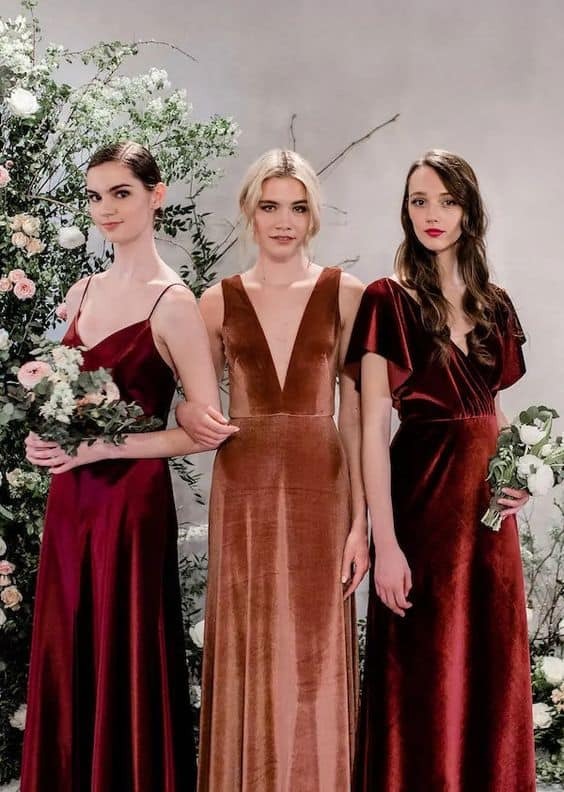 Looking forward to Fall 2019, a trend and style that we LOVE is ...Velvet! A lustrous, soft fabric known for its regal history of dressing the most infamous kings and queens, this fabric has seen a resurgence not only in fashion but also interior design. Vintage velvet sofas are now a sought-after commodity in modern homes and the fabric is equally sought-after for gowns heading into Fall 2019. Browse our Top 5 Ways to Wear Velvet fall 2019. 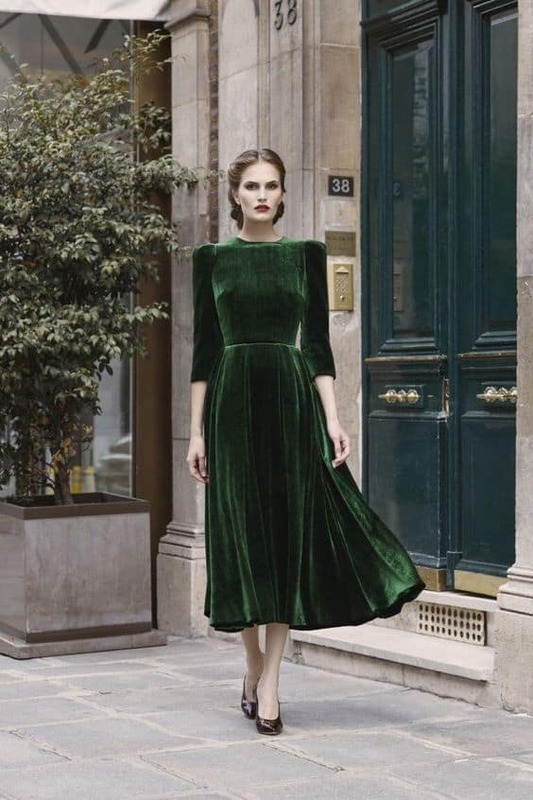 Leave guests green with envy in a stunning fall forest green velvet gown. Perfect fabric for the chillier nights, but light enough to dance the night away. 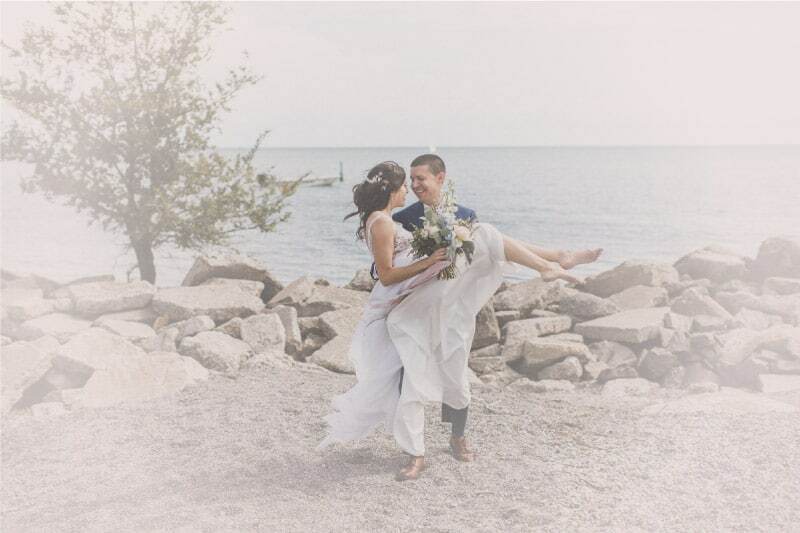 We’ve seen bridal leather jackets, but we love a bride who dares to be different. Add a touch of luxury with a velvet bridal blazer draped over your custom Valencienne gown. Not a gown gal? 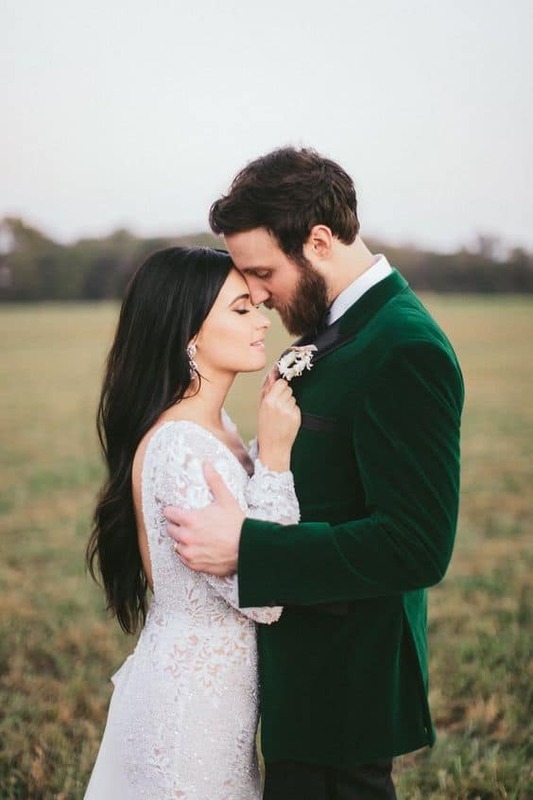 Have us create a custom velvet pant suit for your special day! 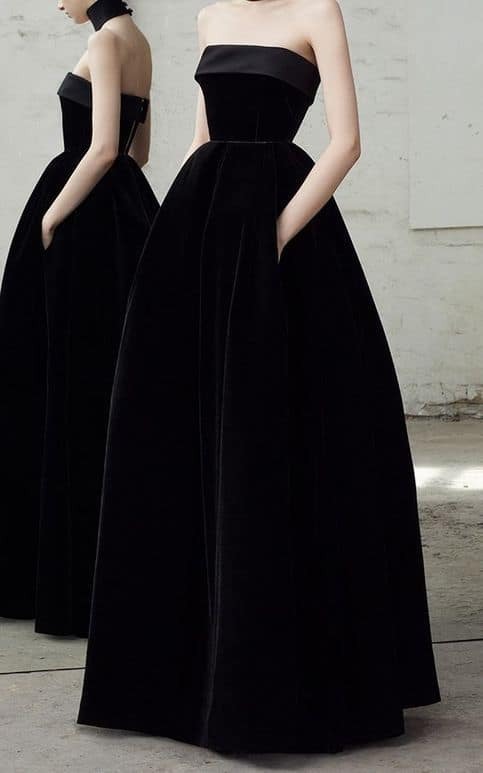 Incorporate Velvet into your dream couture bridal gown. A soft velvet belt or a full bridal bodice with a billowing tulle skirt. We can’t forget the men! Take a tip from the red carpets and change up a traditional blazer for rich velvet tones and textures.